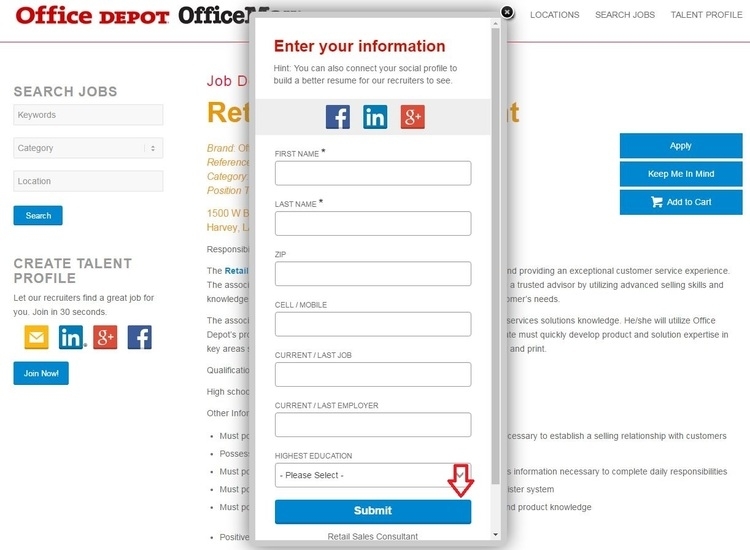 Visit officedepot.com.jobs and then you could search for suitable positions by entering keywords, category and location. Click "Search" to continue. Certain job openings will be shown in a new page according to the info you've entered. 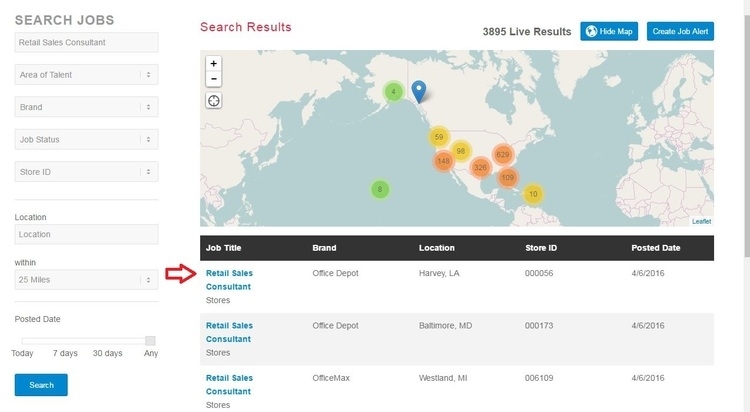 You can refine the results by area of talent, job status and store ID, etc. When you have chosen a suitable position, the description of the job will be presented for your reading. You can start to apply by entering your email. Provide your name, zip code, phone number and your former job as well as your highest education level. You can also connect your social profile to build a better resume. When you finished, you will be notified that you have successfully joined the Office Depot Talent Community. 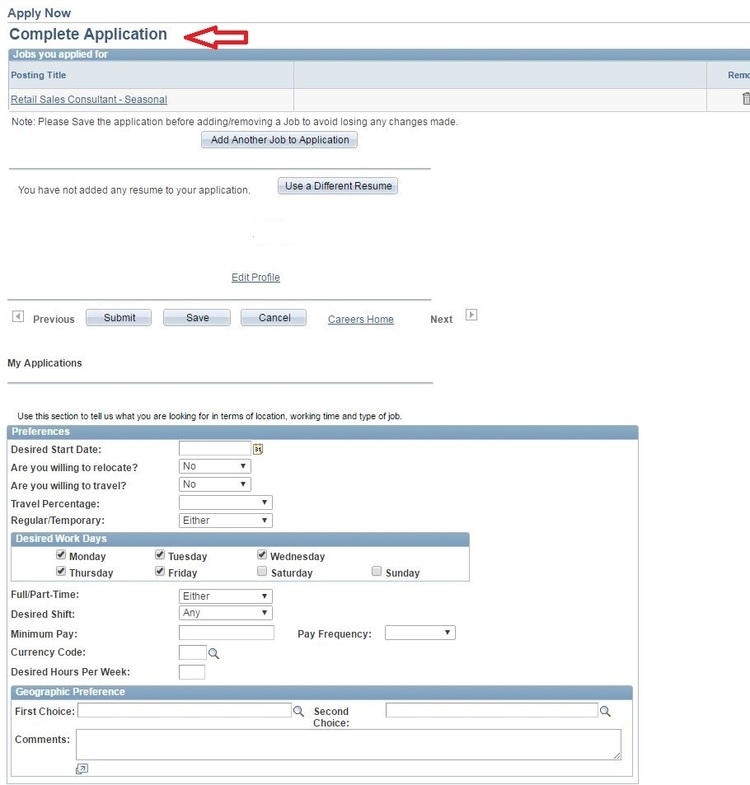 Then you can start your online application..
You will be once again presented the job description, read carefully and click the “Apply Now” button. You will be asked to log in with a user name and password if you are returning user. Otherwise, you need to register by entering your email and set the password. You can proceed in three ways. The first is to apply without a resume, second is to copy and paste resume text, the last one is to apply with a resume. The article will take the last one for example. 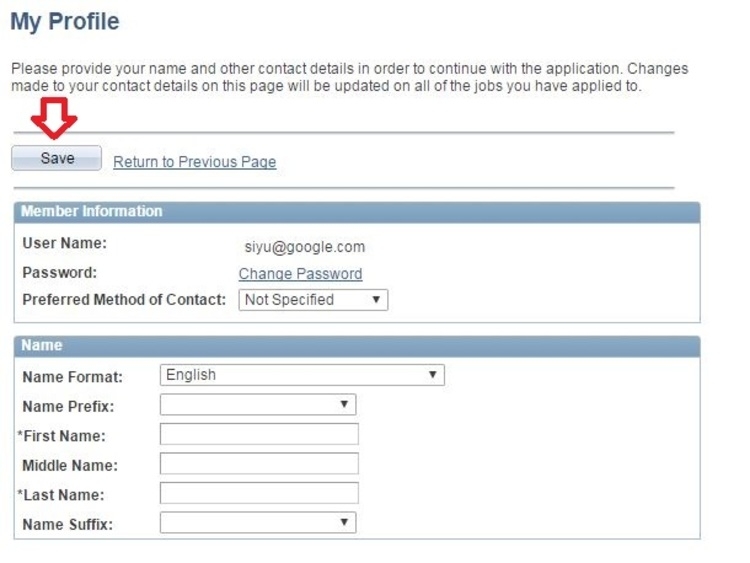 You need to fill in the blank fields with information about your name, address, and phone number. When finished, you can choose to save. Make clear your preferences, desired work days, geographic preferences and answer a few related questions before you submit your application. 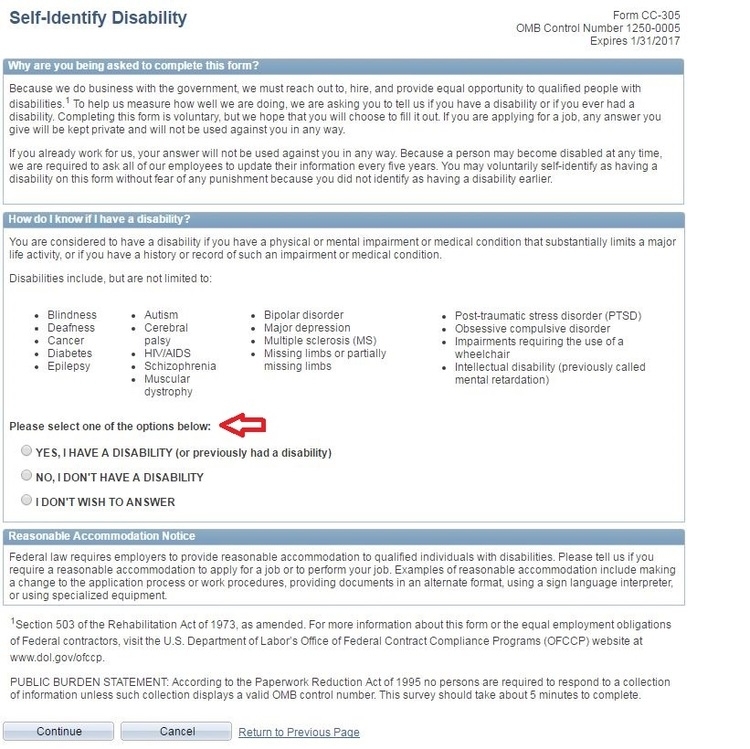 You are required to spend a few minutes to make disability and veteran self-identification. Choose the option that accurately describes you. On finishing the self-identification part, you will be presented the terms and agreements for your perusing. Read carefully before clicking the “I agree to these terms” button. And then submit your application. A few seconds later you will be notified that your application has been successfully submitted and that a confirmation email has been sent to you. Click officedepot.com.jobs to apply for Office Depot jobs online.